Fáilte Ireland is to grant a licence to the Yeats Thoor Ballylee Society to enable it to fundraise to re-open the tourist attraction. Thoor Ballylee, once the home of W.B.Yeats and his family and an inspiration to his poetry, closed in 2010 after extensive flooding. Fáilte Ireland spent EU 200,000 euro in 2012 to secure the building. The tourism authority says it’s not viable to provide funds for the re-opening of the 15th-century Norman tower. Chair of the Yeats Thoor Ballylee Society, Senator Fidelma Healy-Eames raised the matter in the Seanad, in a joint venture with Senator Susan O’Keeffe, chair of the Yeats2015 committee for celebrating Yeats’s 150th birthday. Senator Healy-Eames called on the Tourism Minister to ensure Fáilte Ireland provides a licence to the local society to fundraise to re-open the building themselves. Senator Healy-Eames with Senator O’Keefe argued that Thoor Ballylee needs to re-open for the national celebration of the 150th anniversary of Yeats’ birth next year. Responding, Junior Minister at the Department of Tourism, Michael Ring says he’s glad to announce that a licence will be granted to raise funds for Thoor Ballylee. 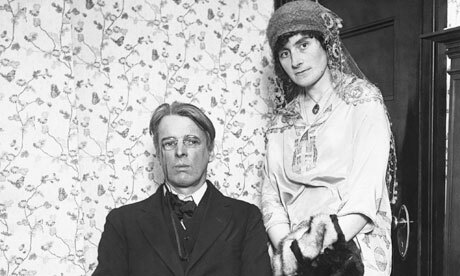 Once an Irish senator himself, W.B.Yeats made notable speeches in the chamber arguing passionately for the right to divorce and against strict censorship laws. The poet was awarded the Nobel Prize for literature in 1923. Story at Galway Bay FM here.